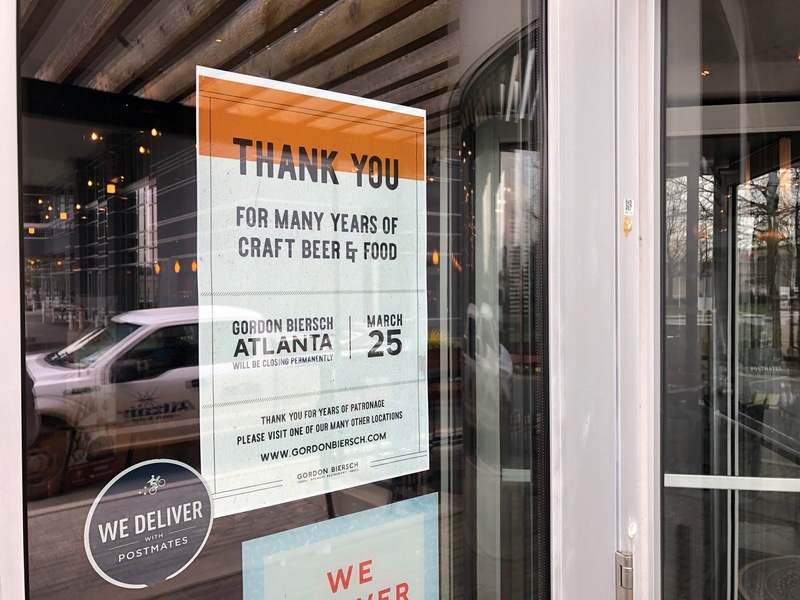 Gordon Biersch has closed its brewery and restaurant in Buckhead. The restaurant, located in Buckhead Place near the corner of Piedmont and Peachtree Roads, occupied a 11,500 square foot space in the center which property owner Coro is already marketing for lease. The restaurant reportedly closed after the close of business this past Sunday night. The Buckhead outpost first opened in 1997, and at the time was known as Rock Bottom Brewery. The restaurant converted to sibling concept Gordon Biersch in 2009. There was reportedly no advance warning of the closure nor any reason provided for it. Gordon Bierch, owned by Nashville-based CraftWorks, previously operated a second Atlanta area location on Peachtree Street in Midtown, but it closed in late 2017. After an extensive renovation, Philadelphia-based City Tap kitchen & craft, a similar concept, opened in the former Midtown location earlier this year. Gordon Biersch continues to operate a licensed location on Concourse A of Harsfield-Jackon Atlanta International Airport. The closure of Gordon Biersch comes on the heels of the closure of the third and last 5 Seasons Brewing Company in West Midtown last month. Locally owned 5 Seasons previously closed its locations in Alpharetta and Sandy Springs. 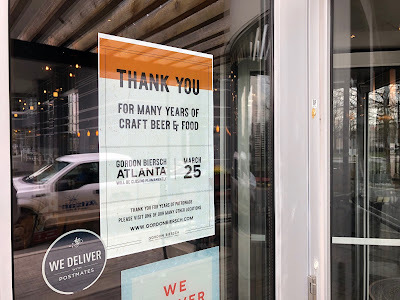 The now vacant Gordon Biersch marks the third roughly 10,000 square foot second generation restaurant space up for grabs in Buckhead. Last week Sage Woodfire Tavern closed its 11,500 square foot restaurant after just a year in business while the former Ocean Prime and its roughly 10,000 square foot space remains vacant following the restaurant's late 2015 closure. Are you surprised that Gordon Biersch closed? What would you like to see open in place of Gordon Biersch in Buckhead? What is your favorite brewery in metro Atlanta? Good grief. I used to think Atlanta could be relied on to support at least chain places. But now even those close frequently. Do you people support anything?  What do you do with your disposable income or are you all in debt up to your eyeballs? I can't believe it stayed open that long. The restaurant was always dirty and the food sub par. Service was terrible at this location. Food prices were also high for the quality. There will be many closures when the economy turns down. Especially in the Buckhead area. Rents are way too high. 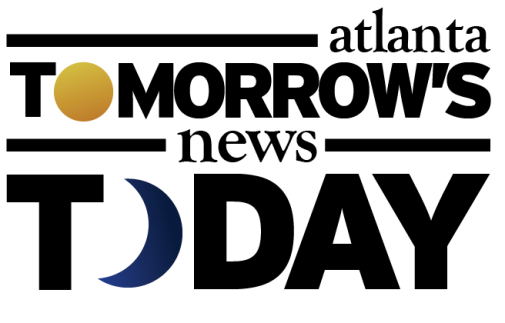 Relied on to support chain places? Why in the world would a closing chain restaurant mean that Atlanta doesn't "support anything"? We support lots of businesses, like any city. I refuse to feel bad for not patronizing a restaurant chain that produces mediocre food and below average beer when I can (and do) spend my disposable income at independent restaurants that serve excellent food and beverage. Most chains are mediocre at best. Why the hell would I go there ever ever ever? @12:55 PM: Exactly who are "you people"? Tell us what do YOU support? "This past Sunday" You are too good a writer to rely on that phrase so often! "This past" will be irrelevant after one week. Why not use "Sunday 3/24/19", that will still be accurate months from now. Thanks for the great blog Sir. OR, you could look at the date the article was written and know which "past Sunday" the author is referring to. It's pretty simple. The first commenter hit a nerve with the truth. Pun intended - thanks to the headline - many are TAPPED OUT. As someone who is privy to loo at peoples finances YOU PEOPLE are in debt up to your eyeballs. However if the restaurant, even a chain, doesn't consistently have top notch service and/or excellent food they consumer is voting with their (maxed out) credit card(s). I see no reason to spend my dollars there. Never once went. I am perfectly content with fewer chains clogging up our restaurant scene. I don't think the closing of a totally ordinary, 22-year-old chain restaurant in Buckhead is indicative of anything about the financial situation of 500,000 people. 22 years is a very long time in that business anyway. If anything it indicates that people have money to spend but won't spend it at a place where the food, drinks and service aren't worth the cost, because we have such an abundance of choices and higher expectations. Add to that the fact that you can get groceries delivered and toss together a meal without having to stop at Publix on the way home from work or, if you don't even want to be bothered with that, you can have meals delivered from a ridiculous number of places with a few taps on your phone. Restaurants have to be much better to survive now than they did 20 years ago and this one just didn't make it. Someone must have discovered their elaborate happy hour smash and grab scheme where they provide slow service to keep you in the restaurant longer while they have people go into the parking lot across the street and smash your windows/steal your belongings. Or maybe it was some other reason. Who knows, maybe it was just really windy that night, it's tough to say. Best of luck, we're all pulling for you! When you take away, or scare away, the Buckhead people from Buckhead....the glorious ole days are gone and businesses fail. Ya gnowhaimsayin? Stay hard, Gordon Biersch Buckhead! I drank many a Marzen Biersches over the years and loved each one. Never will I forget my time at the Gordon Biersch Buckhead, greatest of all Gordon Biersches! Stupidity is usually the reason restaurants fail in my opinion. Just plain stupidity. It will have a new tenant soon. One of the truly great places to grab a Gordon.